Erik González...Wife's name is Lesset...Has played baseball since he was six years old…His favorite baseball moment was going undefeated in a tournament with a Dominican National Team...Enjoys spending time with his family in his spare time and also plays volleyball… Lists Albert Pujols as his favorite player as a child and the Boston Red Sox as his favorite team. Spent his first full season in the Major Leagues as the full-time utility infielder with Cleveland... Made 30 appearances (15 starts) at second base, 20 appearances (seven starts) at third base, 16 appearances (five starts) at shortstop and nine appearances (three starts) at first base...Produced a .333 (12-for-36) average with runners on base and two outs...Hit .304 (24-for-79) against RHP and .211 (12-for-57) against LHP...Made his first career appearance at first base on 4/4 at Los Angeles (AL); made his first start there on 5/15 at Detroit... Recorded first Major League triple on 5/2 vs. Texas while falling a homer shy of hitting for the cycle...Connected off lefty Francisco Liriano for lone home run (fifth career) on 5/15 at Detroit...Hit .438 (14-for-32) with four doubles, a homer and eight RBI in 15 games during the month of May...Tied career high (second time) with four RBI on 5/3 vs. Toronto (game 2)...Hit .381 (8-for-21) in July (12 games)...Batted .150 (6-for-40) with one RBI (9/16) over his final 26 games from 8/1 thru the end of the season... Was in the concussion protocol and missed the last four games of the regular season after being struck in the head with a pitch in the eighth inning on 9/26 at Chicago (AL)... Played in 33 games with Escogido during the Dominican Winter League. González split the season between Cleveland and AAA Columbus...Was with the team over three different stints, May 14-August 5, August 9 and August 23 thru the end of the season...Batted .256 (41/160) at the Triple-A level with 4 2B, 3 3B, 6 HR & 13 RBI in 40 games...Appeared in 26 games at shortstop, 9 games at second base, 3 games at third base and right field and 1 game in left field at Triple-A...From June 1-on he batted .270 (27/100) with Cleveland with 6 2B, 4 HR and 11 RBI over his last 53 games with Cleveland...Appeared in 36 games at second base (18 starts), 11 games at short (3 GS), 8 games at third base (3 GS) and made 1 start in left field for Terry Francona. Hit his first career Major League home run on June 15 vs. the LA Dodgers (Chris Hatcher)...Enjoyed three 3-hit games on the year, tying his career high... Collected his first career two-homer game and career-high 4 RBI on Sept. 7 at Chicago-AL, sending his season and career HR output from 2 to 4...During his last stint with the club after his August 23 recall he batted .233 (7/30) with 7 runs scored in 20 games....Hit .345 (10/29) with 7 runs scored in 12 June games...Batted .167 (7/42) with runners on base. Gonzalez spent most of the 2016 season at Triple-A Columbus, hitting .296 (127-429) with 31 doubles, 1 triple, 11 home runs and 53 RBI in 104 games... The AAA All-Star (homered in the Triple-A All-Star Game) ranked among International League leaders in doubles (4th, 31), runs (T5th, 62) and hits (8th, 127) at the time of his final Sept. 1 promotion despite spending nearly three weeks with Cleveland in his debut at the Major League level, July 14-August 4...Named an organizational all-star by MILB.com each of the last four seasons since 2013...With Columbus he batted .333 (61-183) with runners on base and after returning to Columbus on August 5 he batted .297 (27-91) with 9 2B, 5 HR, 14 RBI in 23 games...Appeared in 90 games at shortstop, 8 games at second base, 3 games at third base, 2 in center field and 1 game in right field at Triple-A...Again rated by Baseball America as having the best infield arm and best defensive infielder in the organization entering 2017...With Cleveland from July 14-August 4 and again from Sept. 1 thru the remainder of the season...Made his MLB debut on July 16 at Minnesota…Over his first stint with Cleveland he was 1-for-9 in 10 games and collected his first hit on July 19 at Kansas City (off Brian Flynn) in his first career Major League start (RF)...Overall with Cleveland he appeared in 2 games (1 start) in right field, 8 games (1 start) at shortstop, 5 games at second base and 2 games at third base... Appeared in 11 games in Sept/Oct following his second recall...Collected a career-best 3 hits on Sept. 27 at Detroit in his second career start (SS)...Traveled with the club but was not on any of the three Postseason rosters...Hit .273 (21-77) in the DWL after the season with 11 R, 2 2B, 3 HR & 12 RBI in 21 games for Escogido. Gonzalez split the year between Akron and Columbus, hitting a combined .255 (140-549) with 24 2B, 7 3B, 9 HR (tied a career-high) & 69 RBI in 137 games (.666OPS)...Named an organizational all-star by MILB.com each of the last three seasons since 2013...Despite only being with the AA RubberDucks for half the season, the shortstop finished 4th on the team in average, 6th in doubles, 5th in triples, 5th in RBI, and 5th in stolen bases (10)...Promoted to Columbus on June 29 and tallied 53 more hits to finish the season, the 3rd-most hits in the Indians system...Also finished tied for 5th in the system with 69 RBI and 6th with 70 runs...Hit .333 (14-42) with 5 2B, 1 3B, 2 HR & 6 RBI in 10 Triple-A playoff games... Appeared in 19 games for Escogido of the DWL after the season. Gonzalez split the season between Akron and Carolina, hitting a combined .309 (135-437) with 20 2B, 10 3B, 4 HR and 62 RBI in 105 games ... Also stole a career-high 21 bases in 28 attempts while scoring 65 runs...His .309 average was third-highest in the Indians player develop ment system while his 135 hits were 4th... Spent most of the year at A Carolina, hitting .289 (89-308) with 14 doubles, 7 triples, 3 home runs, 46 RBI and 44 runs scored ... Hit safely in 16-straight games from April 8-24, the second-longest hit streak in the Carolina League in 2014 and was selected to the Carolina League midseason All-Star game ... Named an organizational all-star by MILB.com ... Named 8th-best prospect in the Indians system entering 2015 (Baseball America). Promoted to Akron twice (June 27-July 3, Lindor broken nose) and again from July 22-end of season... Hit safely in 25 of his 31 games in Double-A, including a pair of 4-hit games ... During his second stint with the RubberDucks he batted .373 (38-102) with 4 2B, 3 3B, 12 RBI in 25 games (14R)...Combined on the year he hit .334 (108-323) off RHP . Split the season between low-A Lake County and high-A Carolina where he batted .254 (129-508) with 32 doubles, 12 triples, 9 home runs and 76RBI in 132 games....Was his first full-season campaign in the Indians organization as he finished second in the organization with 76 RBI...The versatile infielder appeared in 65 games at third base, 55 games at shortstop, 13 games at second base and 1 game apiece at first base and center field...On the year he hit .279 (106-380) with 26 2B, 10 3B, 9HR & 63RBI off right-handed pitching and .180 (23-128) off LHP...Continued to make a name for himself after the season for Escogido in his native Dominican Republic, hitting .325 (53-163) with 23 runs, 6 2B, 6 3B, 1 HR & 20 RBI in 45 games (4th in the LBD in avg/total bases, T3rd in hits, 1st in 3B)...Added to 40-man roster on November 20...Named by Baseball America as having the best infield arm entering 2014. Ranked 3rd in the Dominican Summer League in hits (83) and 4th in average (.346). December 20, 2018 Leones del Escogido placed SS Erik Gonzalez on the reserve list. August 23, 2017 Cleveland Indians recalled 2B Erik Gonzalez from Columbus Clippers. August 10, 2017 Cleveland Indians optioned SS Erik Gonzalez to Columbus Clippers. August 9, 2017 Cleveland Indians recalled Erik Gonzalez from Columbus Clippers. August 6, 2017 Cleveland Indians optioned SS Erik Gonzalez to Columbus Clippers. May 14, 2017 Cleveland Indians recalled Erik Gonzalez from Columbus Clippers. March 30, 2017 Cleveland Indians optioned SS Erik Gonzalez to Columbus Clippers. November 3, 2016 Erik Gonzalez roster status changed by Cleveland Indians. October 6, 2016 Cleveland Indians reassigned SS Erik Gonzalez to the minor leagues. September 1, 2016 Cleveland Indians recalled SS Erik Gonzalez from Columbus Clippers. August 5, 2016 Cleveland Indians optioned SS Erik Gonzalez to Columbus Clippers. July 14, 2016 Cleveland Indians recalled Erik Gonzalez from Columbus Clippers. March 26, 2016 Cleveland Indians optioned SS Erik Gonzalez to Columbus Clippers. November 3, 2015 SS Erik Gonzalez assigned to Leones del Escogido. October 5, 2015 Cleveland Indians recalled Erik Gonzalez from Columbus Clippers. June 29, 2015 SS Erik Gonzalez assigned to Columbus Clippers from Akron RubberDucks. May 31, 2015 SS Erik Gonzalez assigned to Columbus Clippers. March 20, 2015 Cleveland Indians optioned SS Erik Gonzalez to Akron RubberDucks. September 29, 2014 Cleveland Indians recalled Erik Gonzalez from Akron RubberDucks. July 22, 2014 SS Erik Gonzalez assigned to Akron RubberDucks from Carolina Mudcats. July 5, 2014 SS Erik Gonzalez assigned to Carolina Mudcats from Akron RubberDucks. 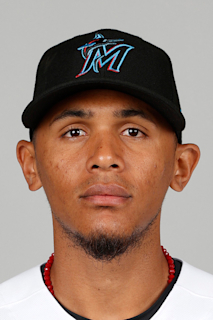 June 27, 2014 3B Erik Gonzalez assigned to Akron RubberDucks from Carolina Mudcats. May 27, 2014 Carolina Mudcats activated 3B Erik Gonzalez from the 7-day disabled list. March 12, 2014 Cleveland Indians optioned 3B Erik Gonzalez to Carolina Mudcats. November 20, 2013 Cleveland Indians selected the contract of Erik Gonzalez from Carolina Mudcats. October 18, 2013 SS Erik Gonzalez assigned to Leones del Escogido. October 18, 2013 Leones del Escogido activated SS Erik Gonzalez. July 24, 2013 Erik Gonzalez assigned to Carolina Mudcats from Lake County Captains. March 31, 2013 Erik Gonzalez assigned to Lake County Captains from Mahoning Valley Scrappers. March 27, 2013 1B Erik Gonzalez assigned to Cleveland Indians. June 16, 2012 Erik Gonzalez assigned to Mahoning Valley Scrappers from AZL Indians. May 27, 2011 Erik Gonzalez assigned to AZL Indians from DSL Indians. May 29, 2009 DSL Indians signed Erik Gonzalez.